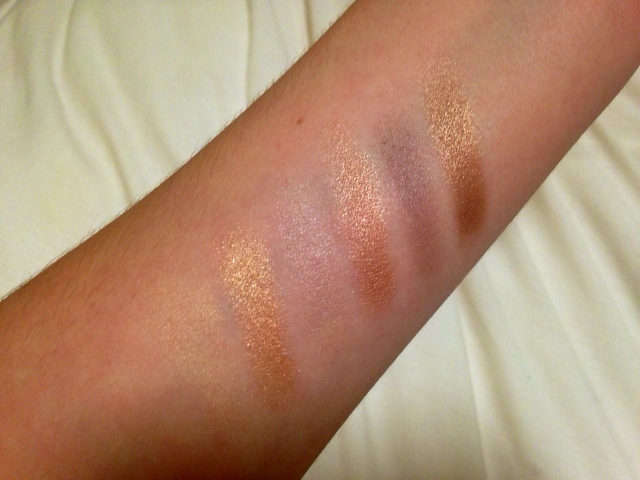 As you can see from the swatches, the second row wins in terms of pigmentation. In general this is the row that gets the most use. One of the differences between the Undress Me Too and the Undressed palette is that MUA have named the shades. This is both a nice touch and makes life so much easier as a blogger trying to explain the shades. I think this palette has more fallout than the Undressed, but that might be because the shadows are more on the shimmery side. 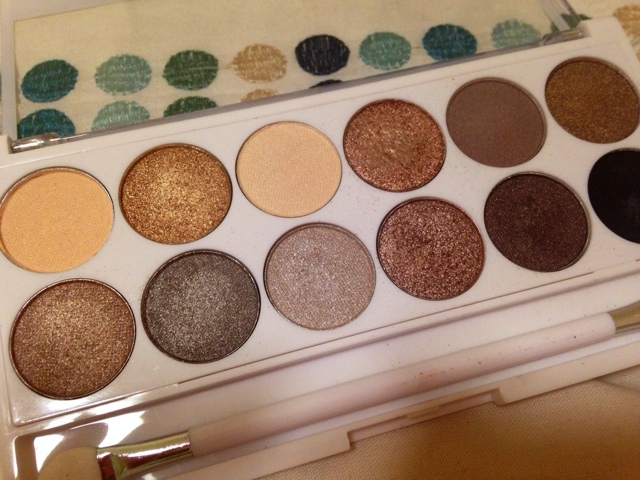 It is because of this that I find the palette on the whole a little less wearable. 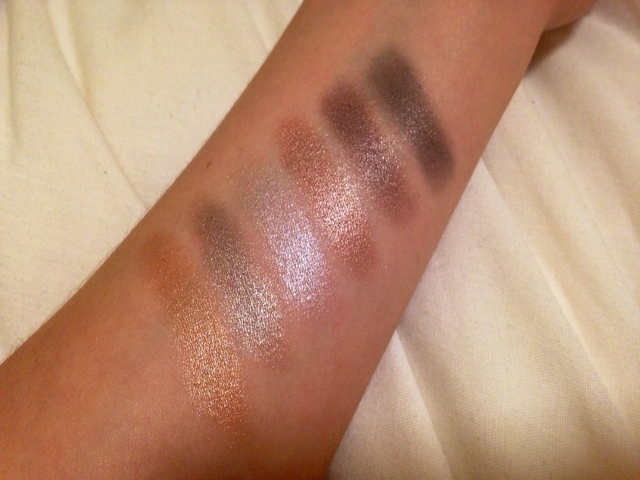 You need a bit more variety in terms of finish of the shadows as shimmer on shimmer ends up as being a little messy. I'd prefer a few more mattes, but that's me just being really picky. Texture wise, the shimmers are on point. The mattes aren't quite as good, and the paler shades are pretty poor in terms of colour payoff. My favourite shades have to be the first four on the bottom row - Tranquil, Exposed, Reveal and Wink. I also like Fiery and Dreamy. We'll have to see whether I end up liking them as much as the Undressed shades. I think this is a great palette to use alongside other shadows, as there are some gorgeous shades, especially for special occasions, however I don't think it quite holds its own as a standalone palette. It is however fab if you want to get a feel for the Naked 2 shades before splurging the £38! Find the Undress Me Too palette on the MUA website here for £4.